Visit today and browse one of the best RC hobby shops around! When you think RC, think Hangar 18 Hobbies! 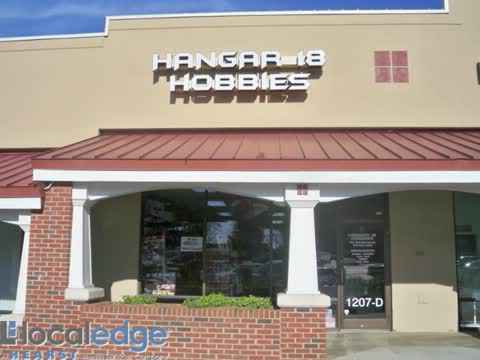 Hangar 18 Hobbies is one of the premier RC hobby shops located throughout the entire Raleigh, NC and Apex, NC region. We offer a wide selection of remote control brands at great low prices that just can't be beat! Whether you're traveling from the Durham area, or commuting from Garner or Knightdale, we're positive that you won't be disappointed with this hobby shop. After opening our doors in November of 2009, we quickly distinguished ourselves as one of the top remote control car shops in the area. Since that time, we've been adding new products to our inventory and expanding at a rapid rate. Each week we feature new brands within our stock, as well as host various exciting in-store events. You're going to want to regularly check out our home page to make sure you don't miss out on any breaking news. Hangar 18 Hobbies boasts a wide selection of remote control cars, trucks and even tanks. If you decided that you're no longer interested in staying tethered to the ground, you can also take a look at out our impressive stock of RC boats, helicopters and airplanes. Our hobby shop also carries many aftermarket hop-up parts and LED light-kits that will enable you to trick-out whichever remote control device you ultimately choose to control. Be sure to stop by soon, as this stuff goes fast! We hope when you come visit us, that you will find a new hobby that you enjoy! At our hobby shop, we are confident you will find something to spend time enjoying! We proudly serve the Apex, NC & Raleigh, NC areas. Swing by our hobby shop today and find something great! Come visit one of the top remote control car shops around! But that's not all...We've got games too! Hangar 18 Hobbies also carries a large selection of tabletop games such as Warhammer, Warhammer 40K, Flames of War and more! We sell the scenery, books, high quality-brushes, glues and paints that will allow you to get the most out of any model-based game you choose to play. Come shop our selection, and we can assure you that you'll be engaged in some seriously epic battles in no time at all! We also feature the model rockets and pine car derby kits that you just won't find in other hobby shops today. Visit our home website, which can be found at the top of the page, to browse the full selection on brand names that can be found throughout the store. You can also consult the column found at the right of this page. We hope to see you soon! We can't be compared to normal RC hobby shops. As one of the leading RC hobby shops in Raleigh, NC, we have a huge selection of new RC vehicles and all the parts to get you on the road or in the air again. We will help you find the right product for your interest, skill level, and budget. We are knowledgeable, understanding, and passionate about RC vehicles. That’s what helps us to stand out from the other RC hobby shops in the area. When you shop at our RC hobby shop, you will get a wide variety of RC cars to pick from. Sure other RC hobby shops will carry RC cars, but they will not have the quality or variety that our RC hobby shop offers. So stop by one of the best remote control car shops in the area today to get your new car! 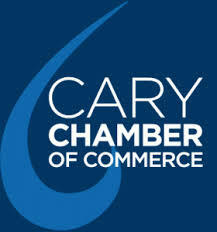 We proudly serve Raleigh, NC and the Apex, NC area.